Details: Timbering in second story, brick and mortar work. 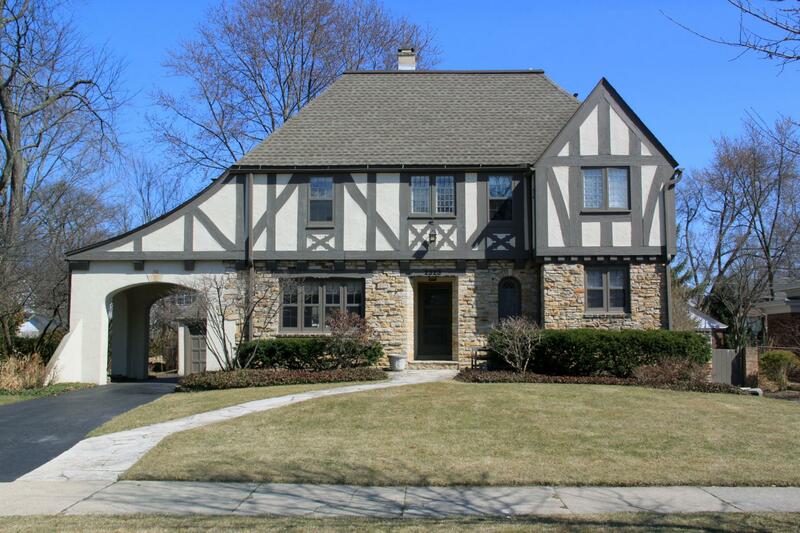 Historic Features: Dominant gable on west elevation, porte-cochere, leaded glass windows on first and second stories, garage connection through garden wall, wood siding on south elevation, stucco cladding on second story with timbering, dramatic pyramidal roof. Alterations: Windows on first floor appear to be replacements.